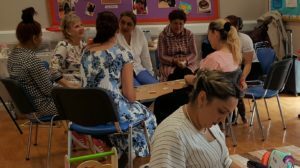 This project’s main aim was to address a significant need for knowledge and understanding about the legal framework of child protection amongst Roma parents living in the UK. The project was funded by the Tudor Trust. 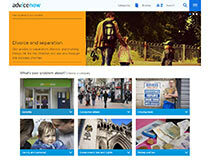 We developed a multimedia toolkit explaining the legal framework of child protection. 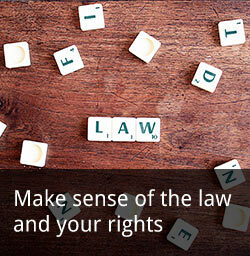 The toolkit consists of an information guide and a short film illustrating key elements of the legal framework and the skills needed to fully comply with the child protection requirements. The film is narrated by Roma community members in Romanes. We also delivered three community training sessions for Roma community members: in London, Rotherham and Derby. Our motivation to undertake this project stems from a substantial increase in numbers of Roma children in the UK care system in the last five years. Between 2009 and 2015, there was a 733% increase in the number of Gypsy/Roma children living in foster care. This is compared to a 9.17% increase for the total ‘in care’ population. Understanding why there has been a disproportionate increase in social work involvement with Gypsy/Roma is complex. However, existing research, frontline casework and data collected by a number of NGOs working with Roma in the UK reveal emerging patterns. Historical disadvantages, linguistic barriers and predominantly negative experiences with public services all play significant part. However, lack of knowledge about their legal rights and responsibilities have the most profound impact on engagement with social workers and outcomes of the care proceedings. Our project aims to begin to address this problem. Formal consultation with Roma community members identified the need for more information about the child protection process communicated in a culturally sensitive way and taking into account multiple disadvantages many Roma community members may have. Furthermore, the Roma Support Group’s survey on social workers’ experiences with Roma families which includes feedback from nearly 300 social workers working across the UK shows that one of the social workers’ top barriers in engagement with Roma families is the Roma community’s lack of understanding about social work procedures and lack of understanding about UK norms in regards to parenting. It was therefore striking that despite an increasing trend of Roma children in the care system in the UK, there were no information resources available to explain the legal framework of child protection in a way that the community could benefit from. We worked with three Roma organisations: Roma Support Group (London), Clifton Learning Partnership (Rotherham) and Roma Community Care (Derby). The Roma community was involved in all stages of the project delivery: from consultation about the community’s concerns and understanding regarding child protection through involvement in the design of information resource and short film to delivery of training. 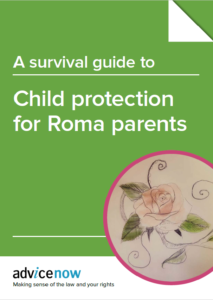 We also hope that this resource will be used by Children’s Services to help them make the legal frameworks more accessible and engage more effectively with Roma families.